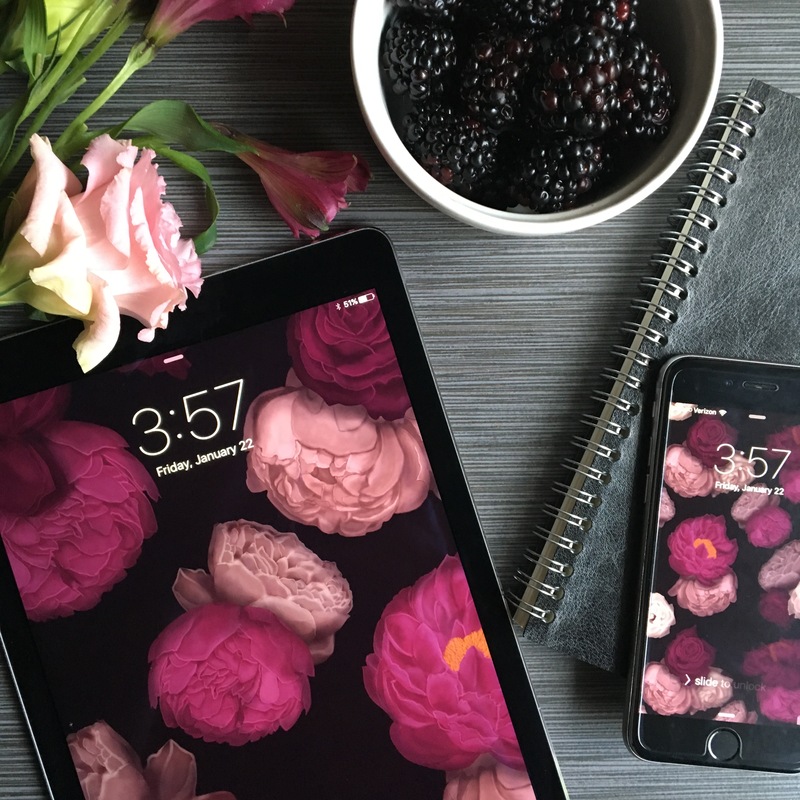 Dress your tech with this dark floral wallpaper. This “Moody Blooms” pattern is available in a regular size print (on the iPhone in the picture above) and “close up” size print (on the iPad in the picture above). Feel free to download this wallpaper for use on your desktop, iPad, and/or phone.